Let me tell you a little something about myself - I love to eat. I mean I really love it, which means losing weight is hard for me. Give up my favorite foods?? Go hungry?! No Way! However, in the interest of my health, I knew I was going to have to make some changes. Therefore, I am so grateful for the WW Freestyle program. I love this program because no matter what, I know that I can have something to eat from the free foods list even if I am still hungry. Of course, this doesn't mean that I eat with complete abandon. If you haven’t yet figured it out, free foods do not equal calorie free! You can read about my little discovery in that area here. Let me share with you a typical day or so’s worth of meals that I eat to burn those pounds to the ground! 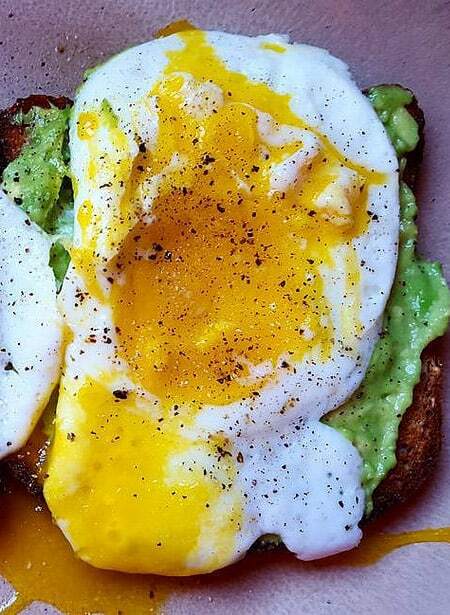 Since eggs are zero points and I love, love, love eggs, I usually have two poached eggs on one piece of whole meal toast. Sometimes I put a little low-fat spread on the toast, but other times I just plop one of the eggs right on top, grill a slice of tomato, top it with ½ or ¼ of an avocado and I am set for the day! Oh, yes, I’ve really cut coffee out of my life for the most part, other than drinking it as an occasional treat, so most mornings I have green tea with a bit of stevia. Don’t knock the fat, my friends! If you missed my previous article about the hack I used to lose 30 pounds, you must read it. So, this breaks down to about 350 calories and 7 WW Freestyle SmartPoints. I like a lunch that I can take with me to work or wherever I might be headed out to that day. 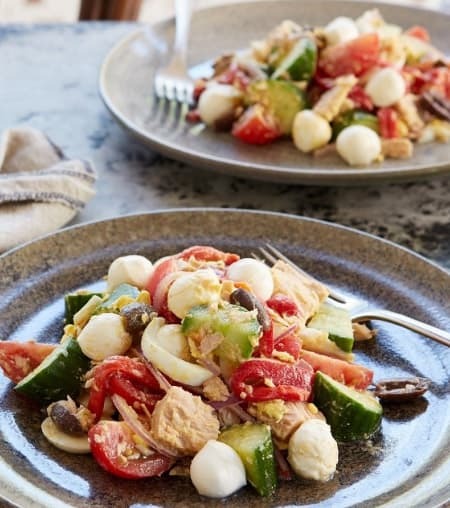 Salads usually work just great for me, like this tuna salad recipe. If you want to put this into a container to go, do that, otherwise, use a plate. Put the spinach, tomatoes, onion, bocconcini, and tuna in the container of choice. Mix the oil and vinegar in a small jar or other container and whisk to combine. Add salt and pepper to taste. Sprinkle the top of your salad with basil leaves and drizzle with the dressing. This salad is so good and super filling! Best of all, it has only 346 calories and 6 WW Freestyle SmartPoints. Sometimes, however, I’m just not in the salad mood. 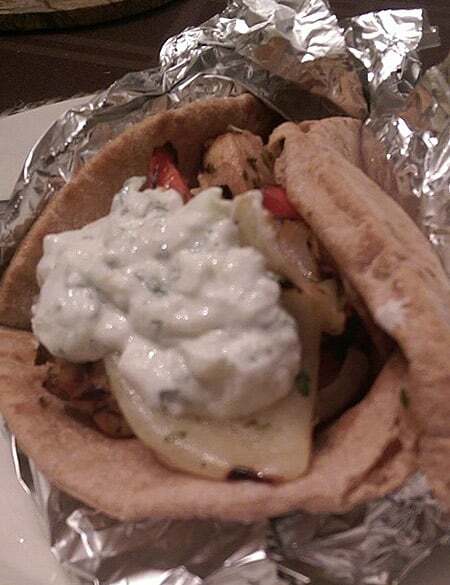 In that case, I like to make a tasty little chicken gyro to take to work. These are really good and if you’ve never had one, you are going to fall in love! Get a skillet and spray it with some zero-calorie non-stick spray, Add the onions and cook them until they are caramelized. Now add the chicken and spices and cook until the meat is no longer pink. You can heat up the pita if you like and fill it with your chicken mixture. Add a bit of the tzatziki sauce on the side. I like to dip mine in the sauce. Put everything in a blender and whip until smooth and well combined. This is a really filling, not to mention tasty lunch. If you use Joseph’s pita bread and make your own sauce, this entire meal is only 1 WW Freestyle point! One serving is 380 calories. I sometimes add a bit of fruit to my lunch, like a handful of cherries or half an orange. One thing is true around my house; when it comes to dinner, no one wants to spend an hour cooking! I love making food that is fresh but doesn't take a long time to cook, like chicken curry and brown rice. This is one of my favorite meals because I can have dinner on the table in less than 30 minutes, especially if I chopped up veggies the night before and have the brown rice already cooked. This recipe is for a single person so be sure to double or triple it if you are serving more people. Take a large frying pan and add the oil, onion, mushrooms and chicken. 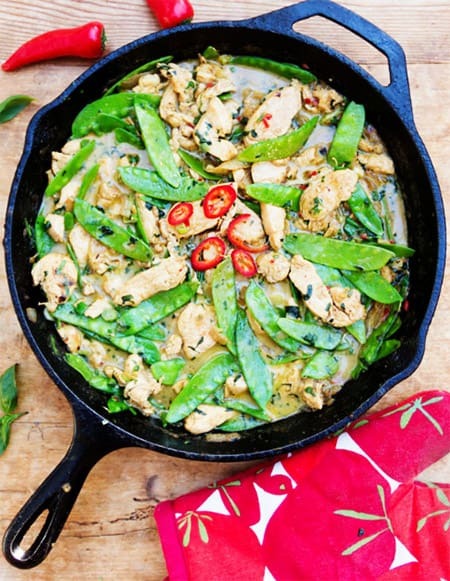 Cook until the chicken is lightly brown, then add all the remaining ingredients except the rice. Turn the heat low and cook for about 2-3 more minutes while you reheat the rice. Pour the chicken over the rice mixture. Did I mention that I love fish? I think I did, so when I get tired of chicken, I fall back on salmon. 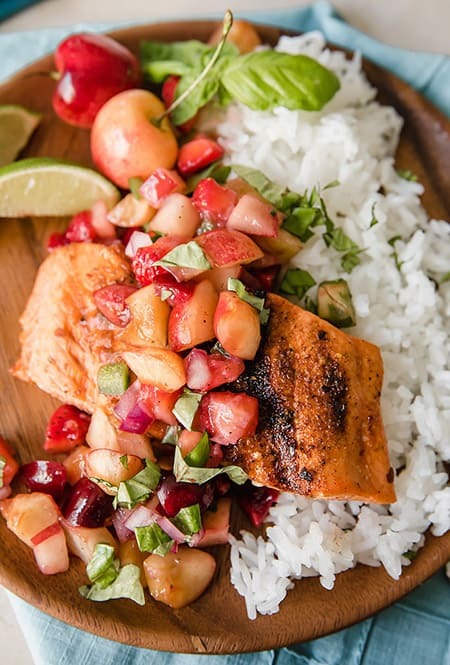 You can’t go wrong with salmon, it’s always tasty and there are tons of different things you can make to go with it! One of my favorite ways to make salmon is with a nice avocado type salsa. This recipe serves 4. I like to put one serving in my meal prep container and take it to lunch the next day. My market sells salmon fillets in packages of 4 and each one is about 4 ounces. Cook the salmon by putting it in a large pan over medium heat and adding about 2 teaspoons of olive oil. Put the fillet, skin side up, in the pan and season with salt and pepper. Cook about 4 or 5 minutes per side. While the salmon is cooking, I mix all of the salsa ingredients in a bowl. Add salt and pepper to the salsa to taste. Once the salmon is finished, serve with the avocado salsa on top or on the side, whichever you prefer. If you aren’t a big fan of bell peppers, you could use tomatoes instead. I often add steamed broccoli on the side, but my SO likes some brown rice, otherwise he says he doesn’t feel full. As far as snacks go, I like to add fresh fruit like cherries or a mango or orange, maybe a apple. These are all about 100-250 calories per day and give you that important vitamin C for beautiful skin! I like to drink chamomile tea in the evenings but no matter what, I drink 2 liters of water every single day. This is an average day of food for me when I'm trying to lose weight. Nothing fancy, but still super tasty and easy to make. Unlike previous versions of the Weight Watchers programs, it is totally OK to eat less than your allocated points. Infact, you can still get your blue dot with 10 points less than your allotment.